First Monday of September, Labor Day, has been a federal holiday in the US for over 120 years. Its original intention was to pay tribute to the American workers and their contribution to the economy. Today, it is more of a symbol of the end of summer (and starting of schools – some have already started the semester before the Labor Day). But Labor Day is also a great three-day weekend to do something fun. 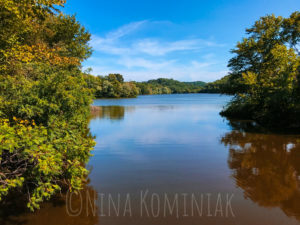 It’s often a last chance to do a quick trip somewhere, or if being more into the labor part of it, to get that pending home improvement project or two done. Or at least prepare the home for fall and winter. 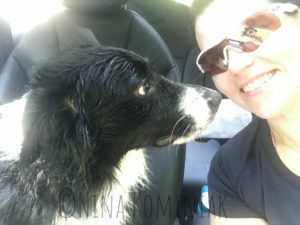 I had a wonderful plan to head up north and go wreck diving either in Great Lakes or Tobermory, Canada, take Sophie with me and rent a dog-friendly cabin (by the lake). Sounds like a perfect long weekend plan, doesn’t it? However, it didn’t quite work out that way. I woke up too late once again for the holiday weekend as I didn’t know if I was supposed to be on a business trip till the weekend or not. When my work schedule got confirmed, my frantic Airbnb search resulted only in cabins that would sleep 6+ people and cost over $300/night. That is a little too much for the dog and I, even though we love to travel in style. But no matter how I was doing the math, a mega size cabin, gas mixes for diving, dive boat, gas to the destination and everything else would have made it one expensive long weekend. So staycation it was. This year’s Labor Day plans consisted of my new love, chalk paints (more about this stuff later, a great way to waste even more money) and outdoors fun. Besides, I got a cold on the plane on the week leading to the Labor Day so even local diving was out of the question. Starting to cough my lungs out at 90ft/30m doesn’t sound tempting at all. 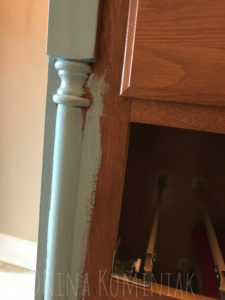 My sister has been redoing some of her old furniture successfully with chalk paints that apparently are a big hit, and a common thing, in Europe, something upscale (read: expensive) here on the other side of the Atlantic Ocean. One of my guest bathrooms have been screaming for a facelift already for quite some time so last week I felt terribly motivated. I am going to paint the bathroom. As soon as my sister heard about my idea, she had one word: chalk paint. First thing on Saturday morning I then headed out to C’est Moi in Nashville outskirts and came home with a bag of paints. Goodbye to ugly brown vanity, welcome gorgeous Annie Sloan Provence! Stay tuned, I will describe the whole chalk painting process in a separate posting. Besides painting, it was an activity weekend. My horse, Mr Peanut got his exercise as well as Sophie had to get her running up. Sophie and I will do a charity 5k in Nashville in less than two weeks, and my lazy pup really hasn’t been running in an organized manner. Chasing barn cats and squirrels is not counted. 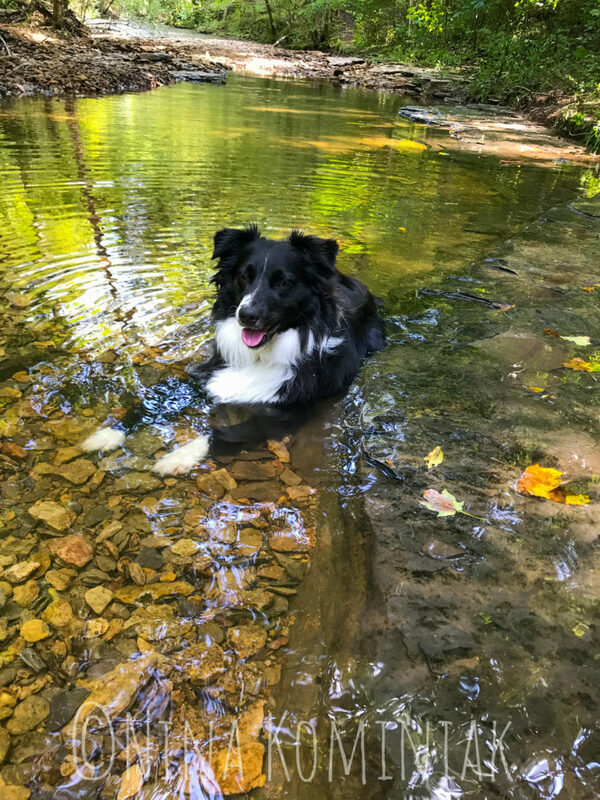 That being said, we spent Monday on trails in Beaman Park: got a good 4-mile run and Sophie got to play and cool down in the water afterwards. She was super thrilled about the running in water, kept playing and splashing, tried to submerge her head underwater, and wondered why the water poured into her eyes and ears. After the run, we did a quick stroll in the city – Nashville is such a dog-friendly town and it’s always a blast to hang out at my favorite coffee shop with Sophie. She gets water and treats while people or dog watching. In fact I am glad I opted for staycation this year. Nice, relaxing, low-key. In fact a true treat with my busy schedule of 250+ travel days a year.